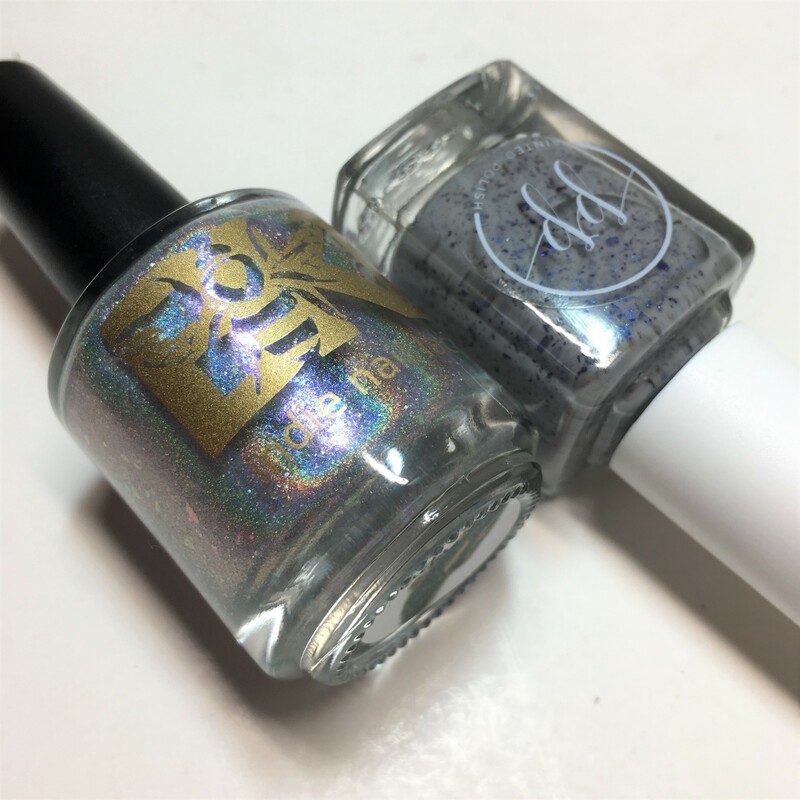 Andromeda is a light-medium gray with tiny periwinkle, black, and iridescent indigo hex glitters as well as perwinkle and black holographic star glitters. 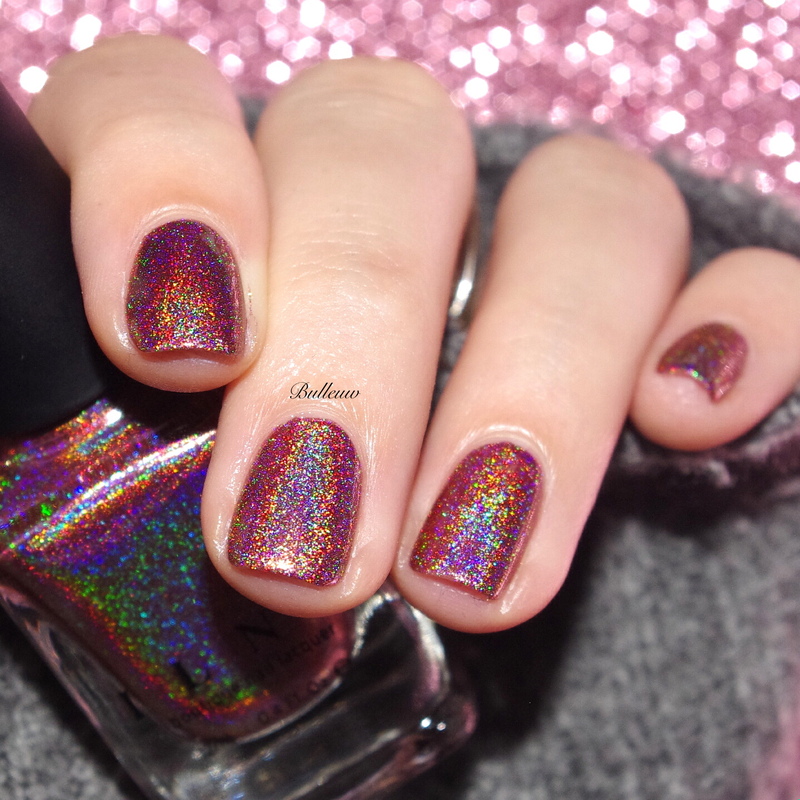 There is a touch of holo shimmer as well. 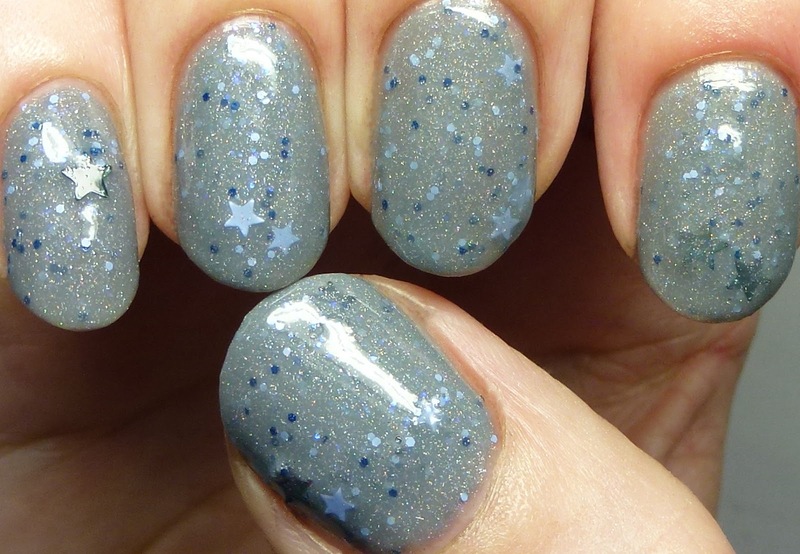 I wore this with four coats on its own but you could also layer it over a similar gray. 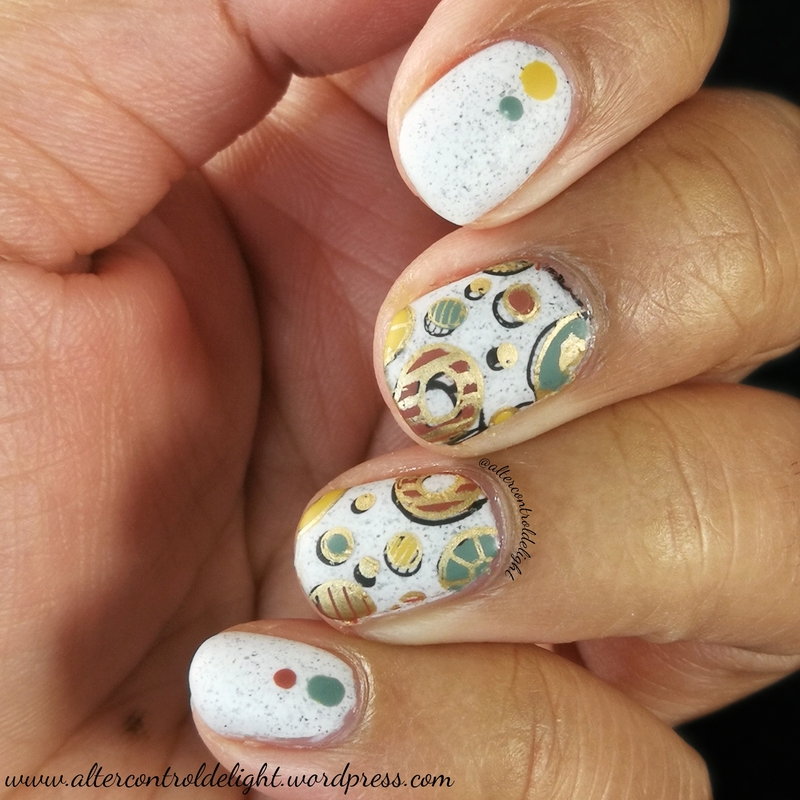 It dried really quickly. 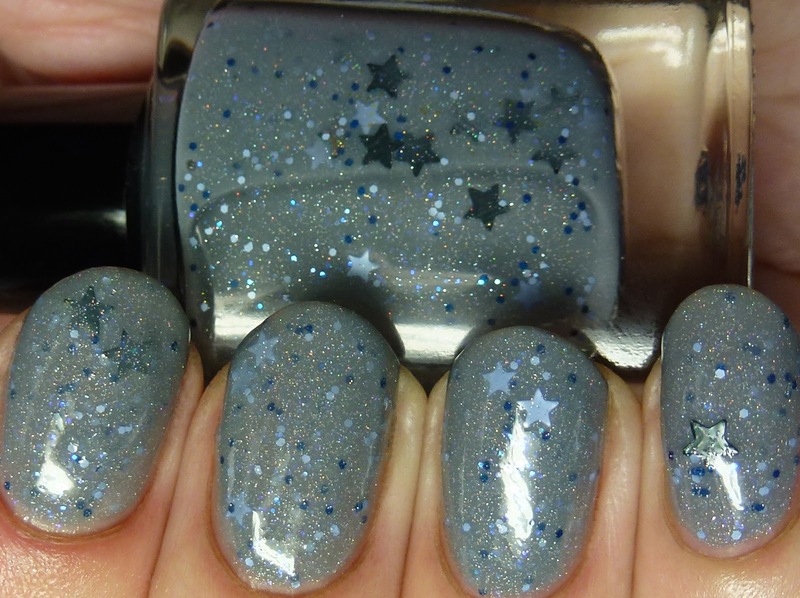 As per usual with star glitters, I put this upside down for a little while before using it and was able to get the stars to come out better, as they tend to settle. 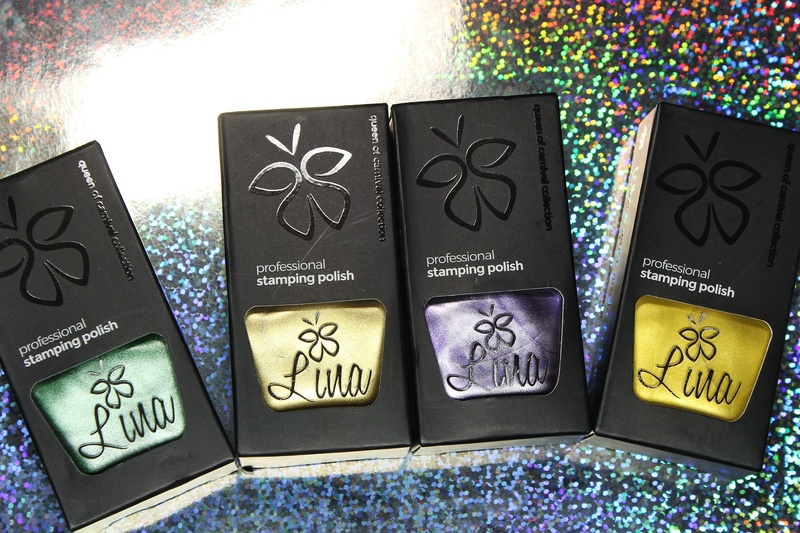 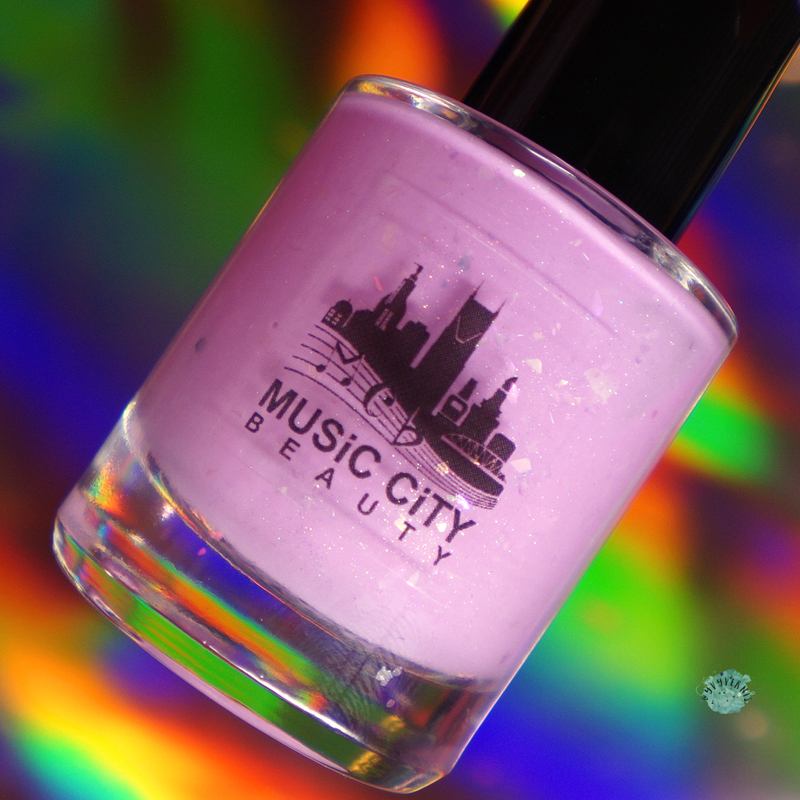 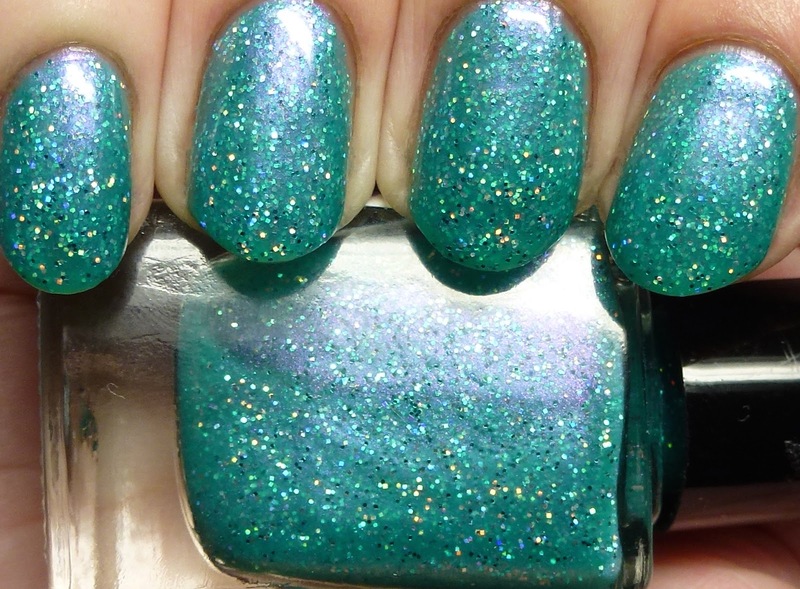 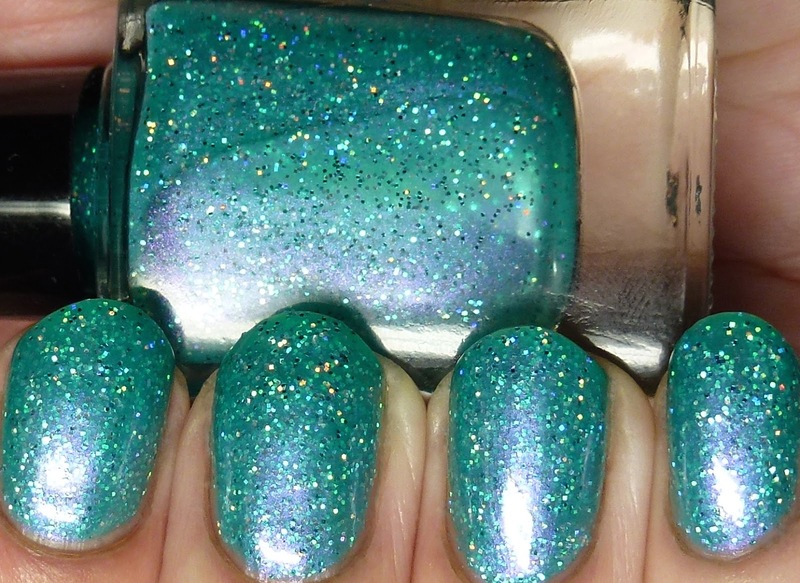 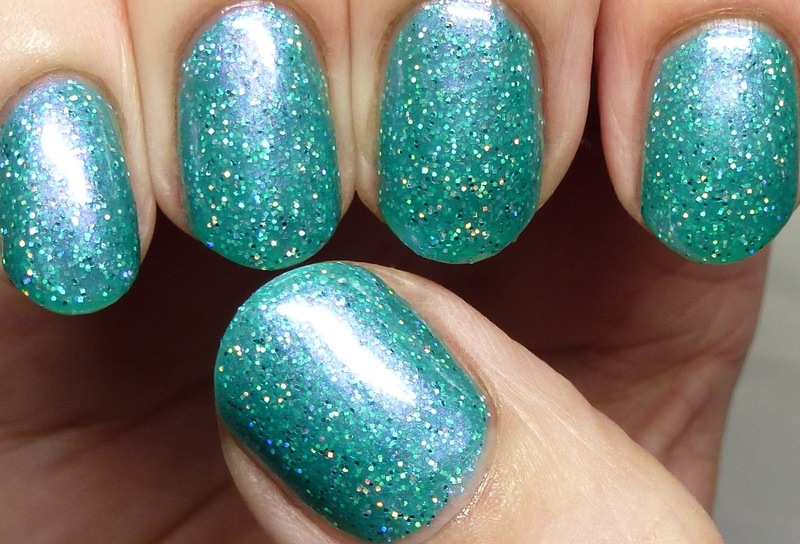 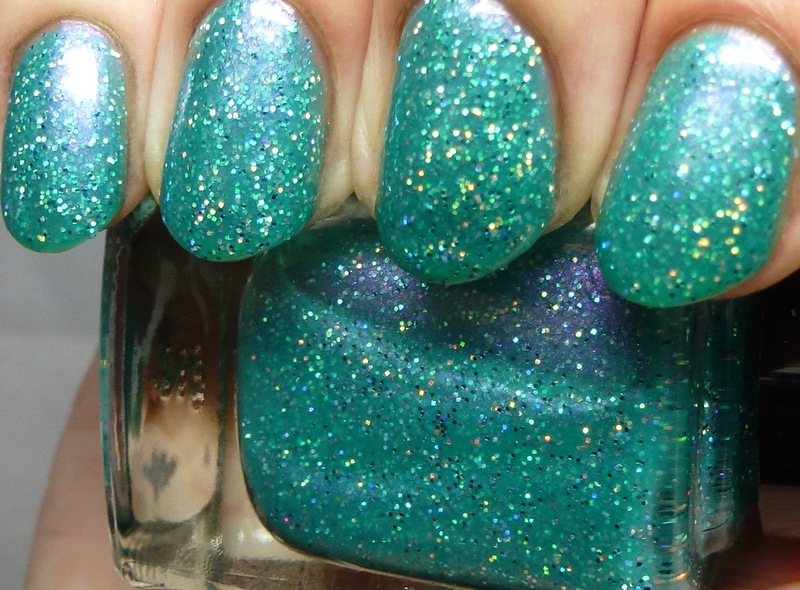 Lyra has hex and square holographic microglitter in a shimmery turquoise base with pink highlights. 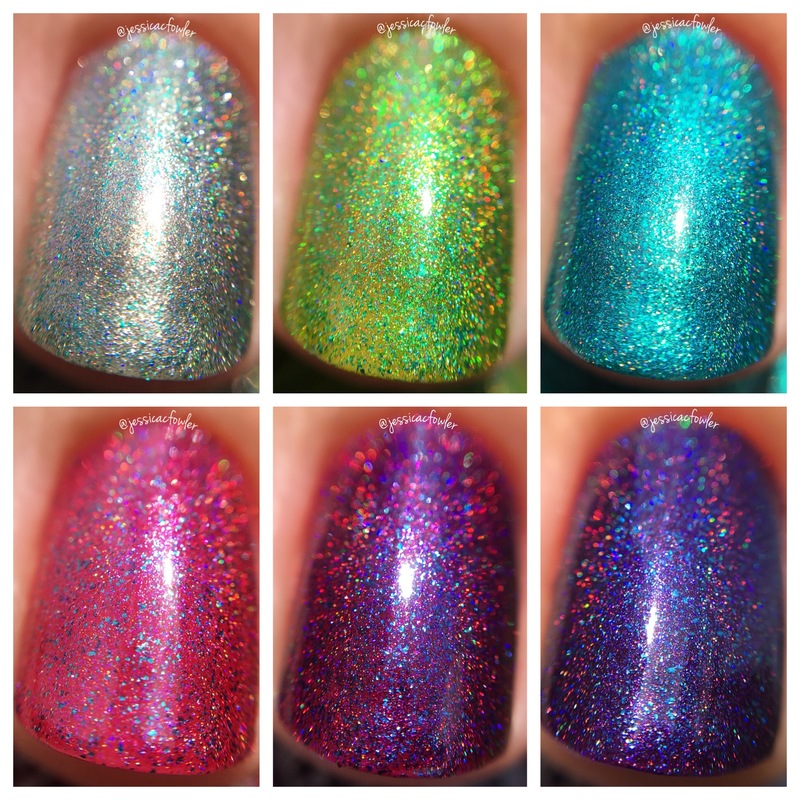 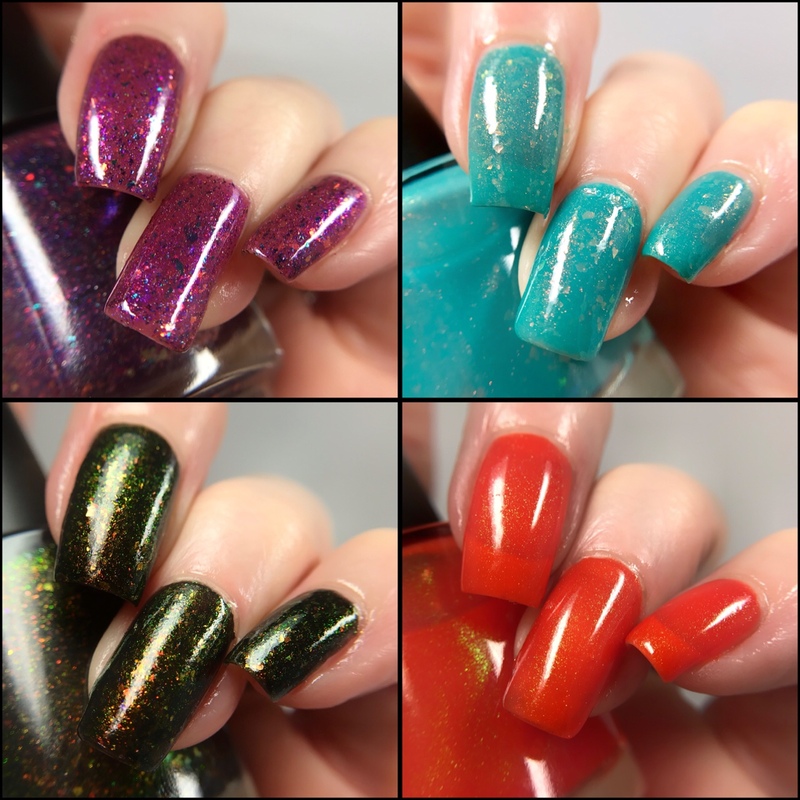 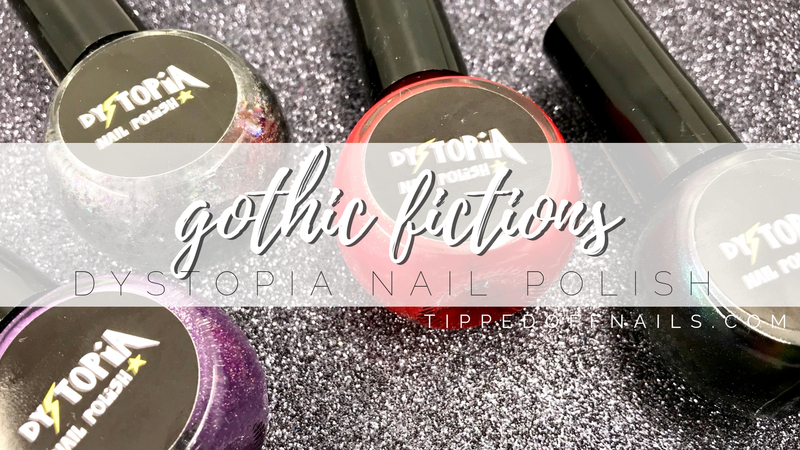 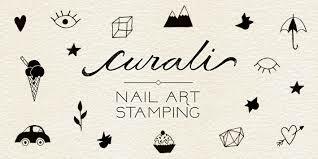 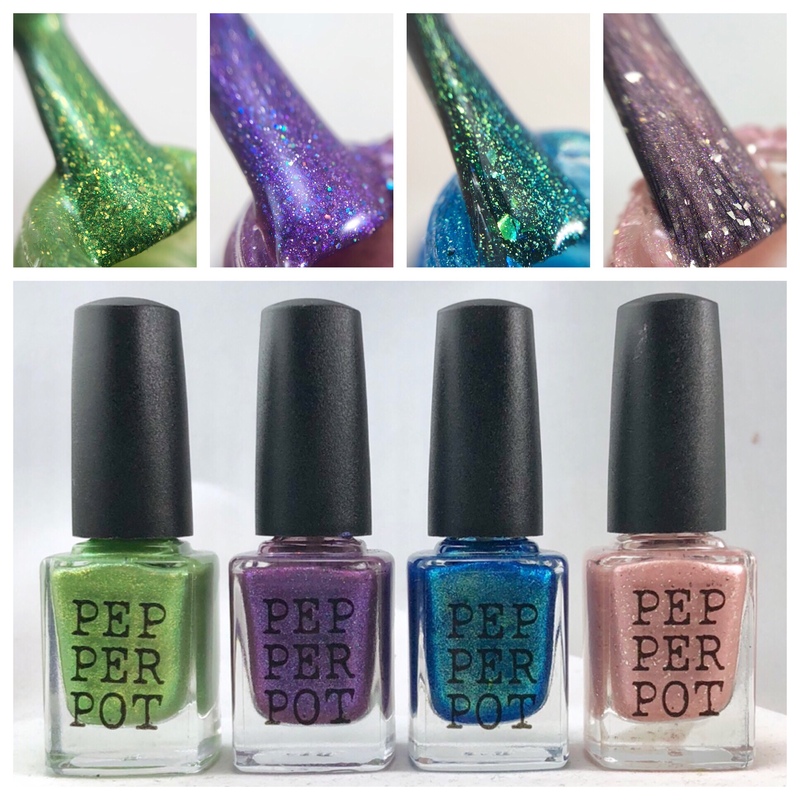 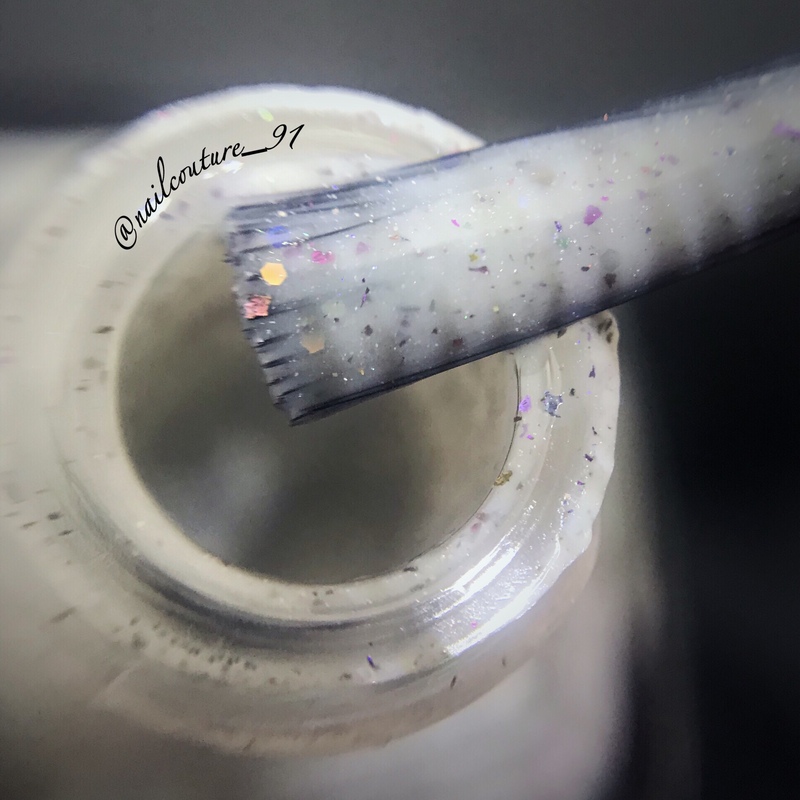 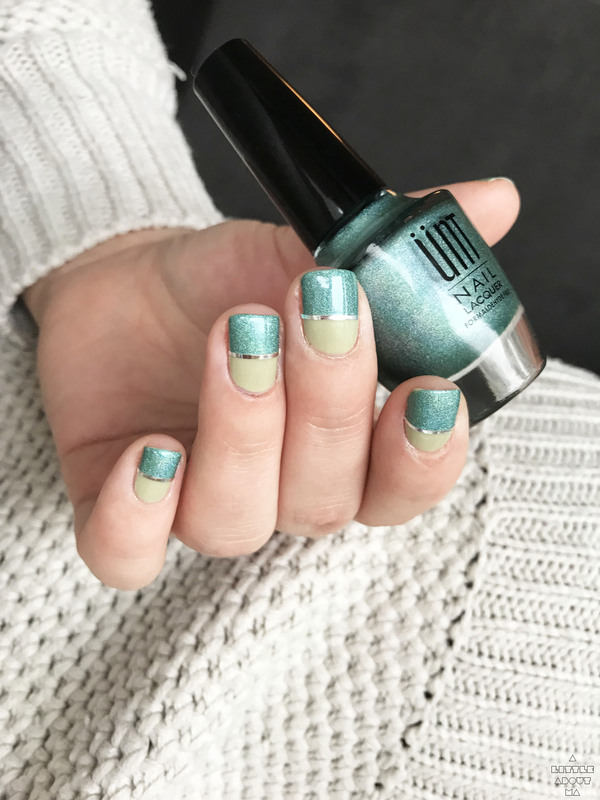 I was just chatting with Jenne over at Polished Pathology and we agreed that these types of polishes from Ever After are the bomb! 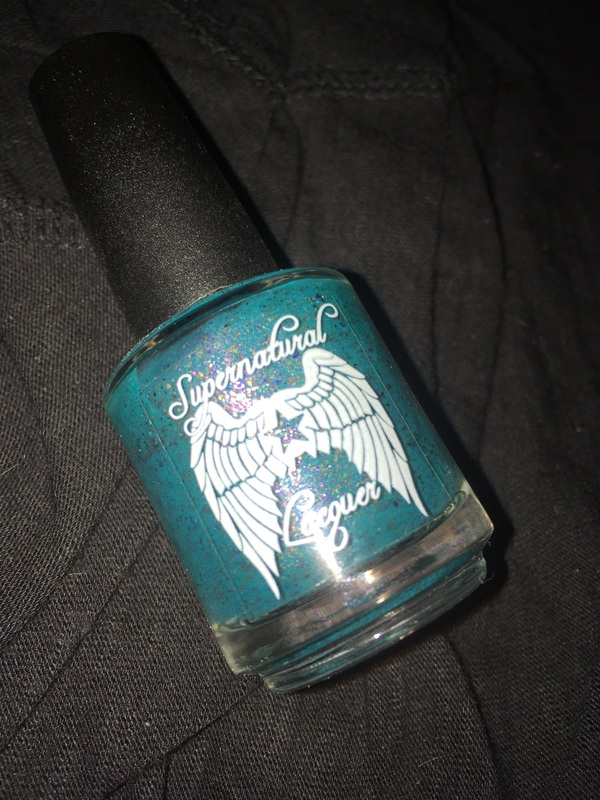 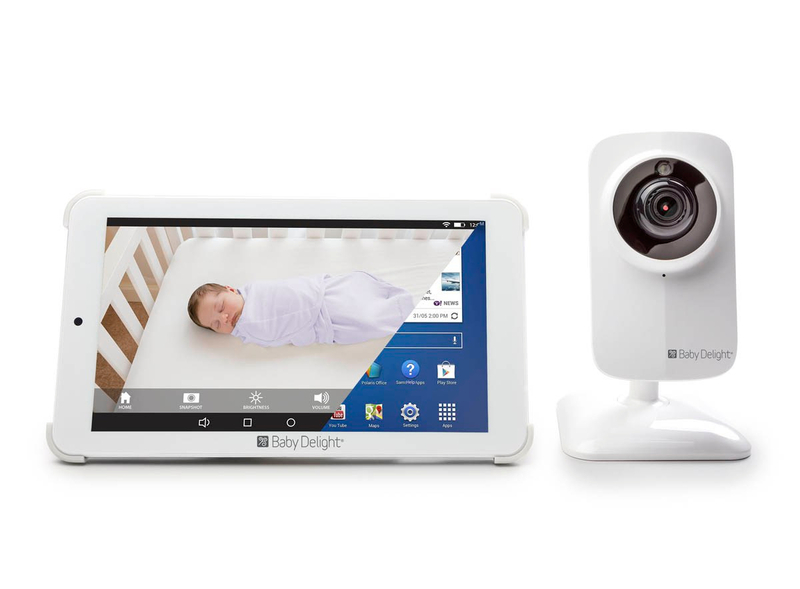 Great formula and easy to use. 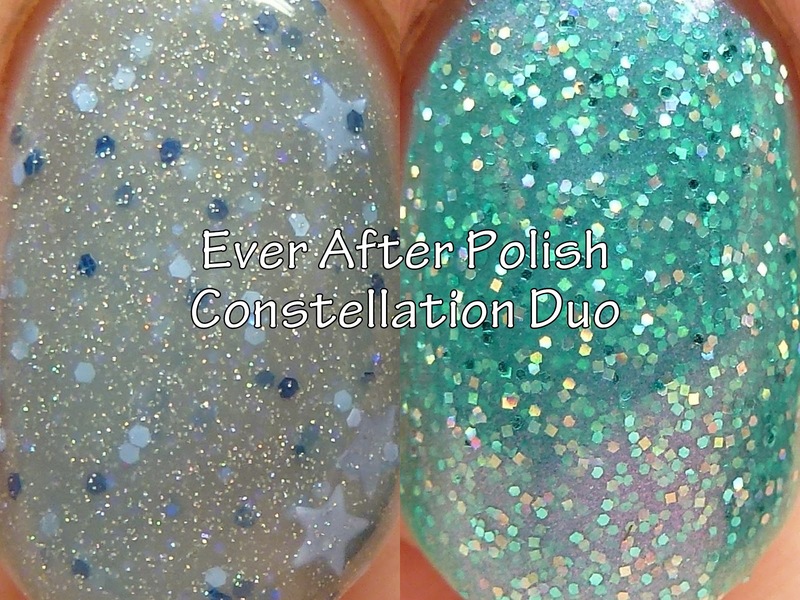 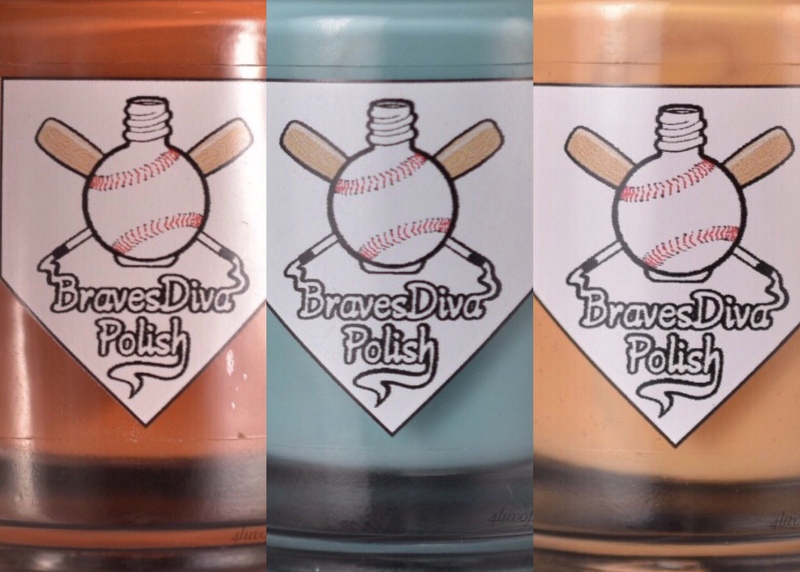 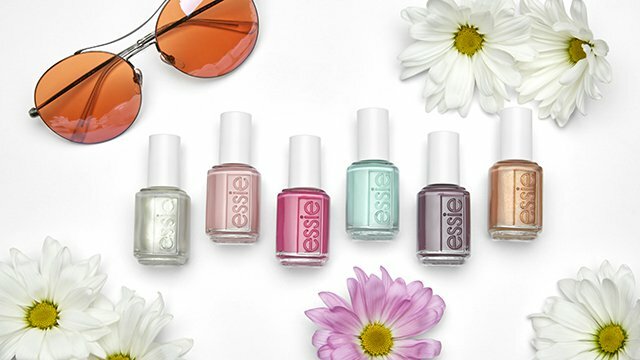 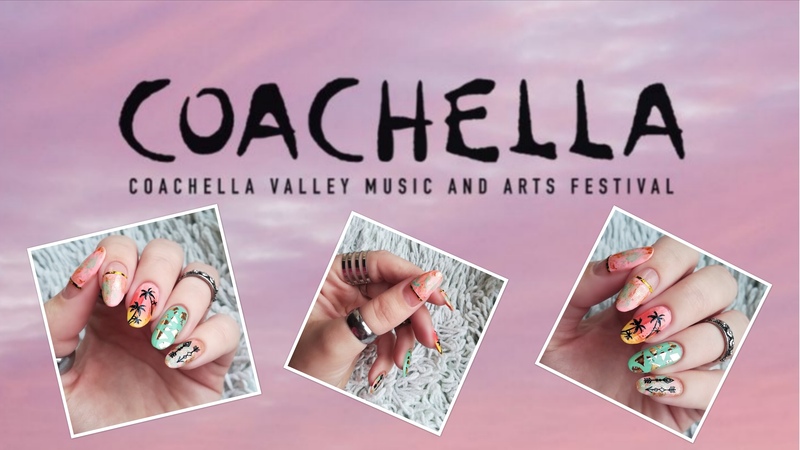 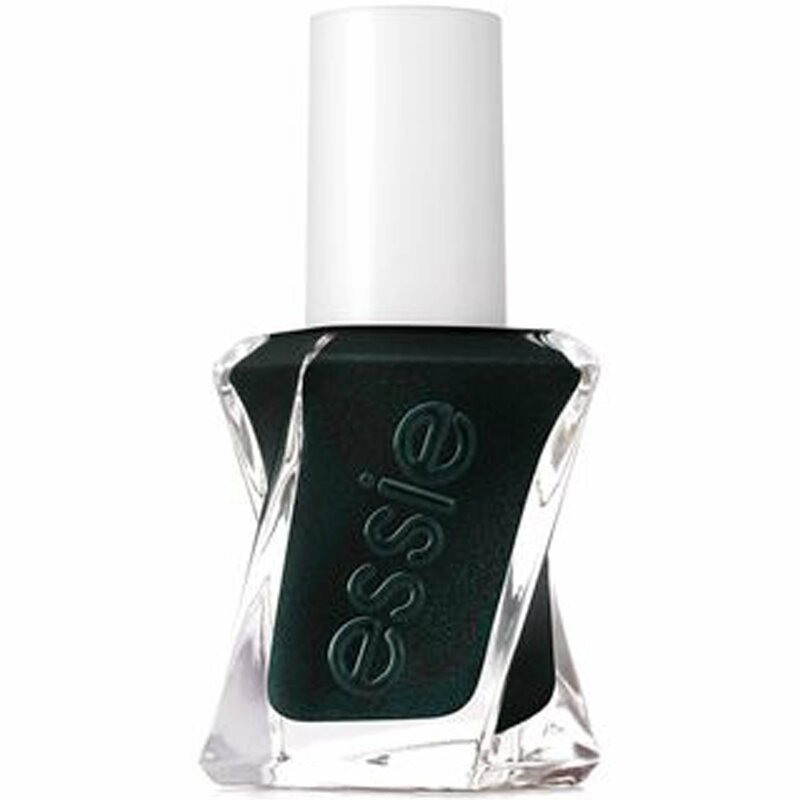 These polishes are available in the brand's shop for $10 each or $16.50 for the set. 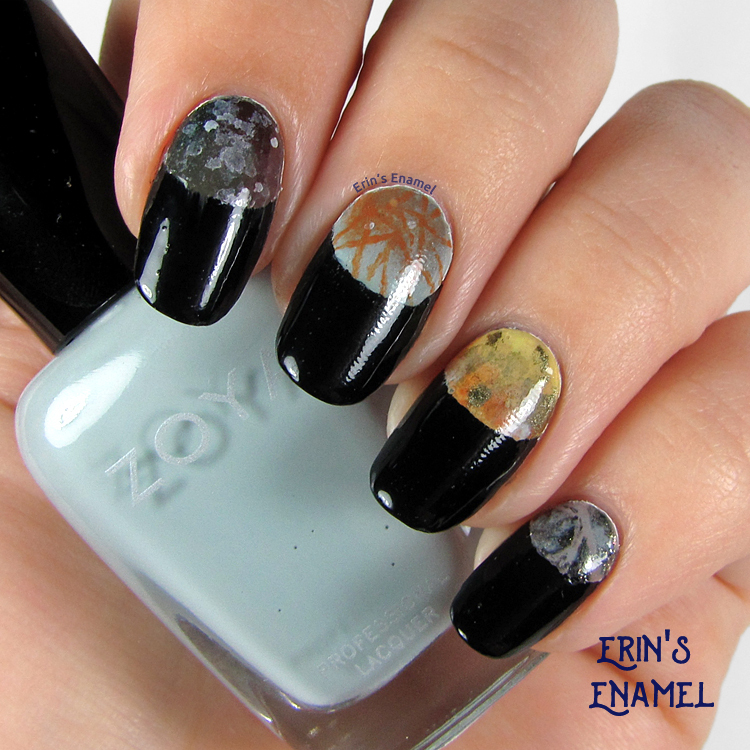 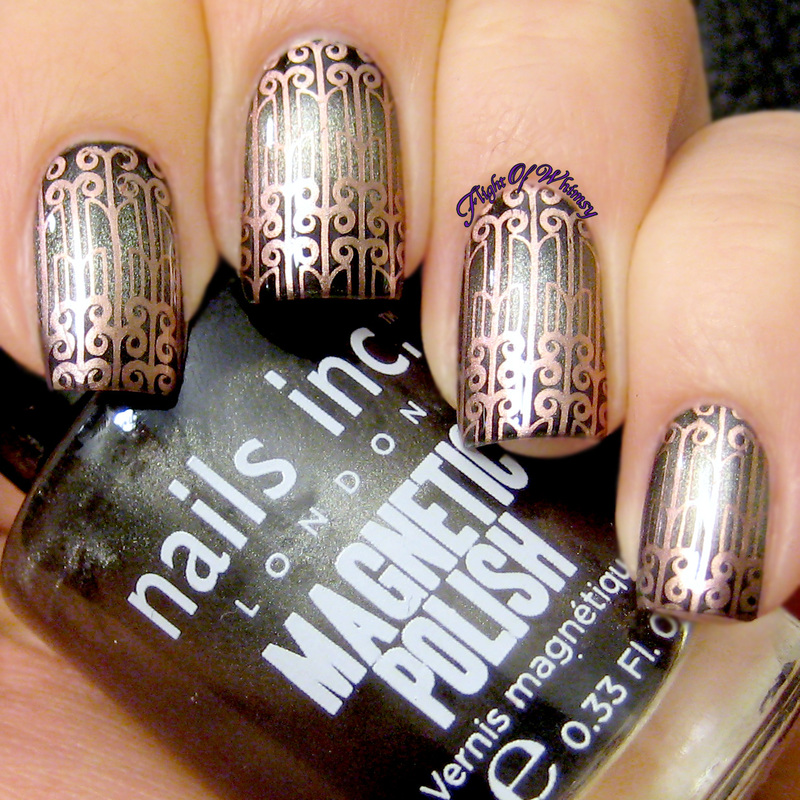 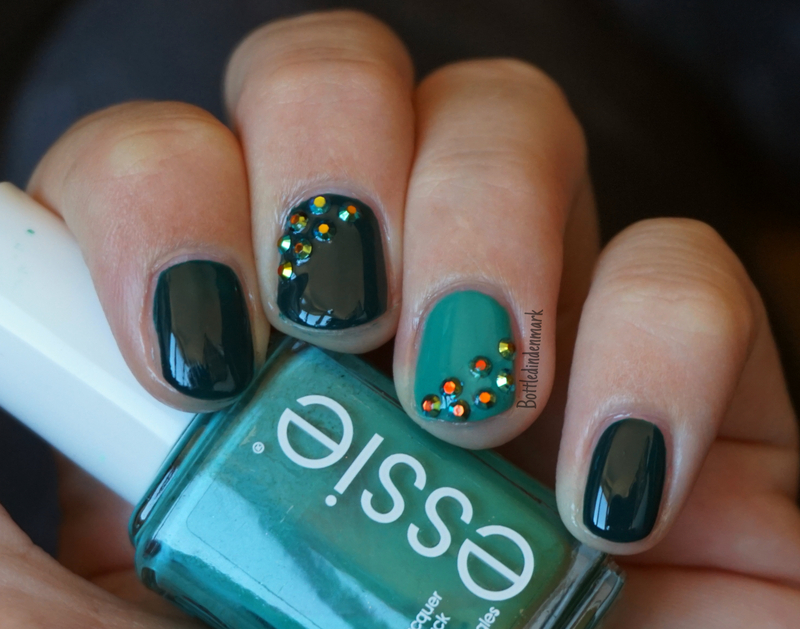 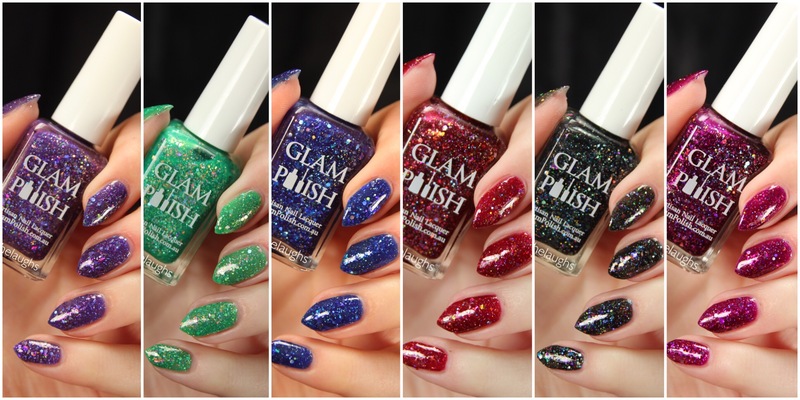 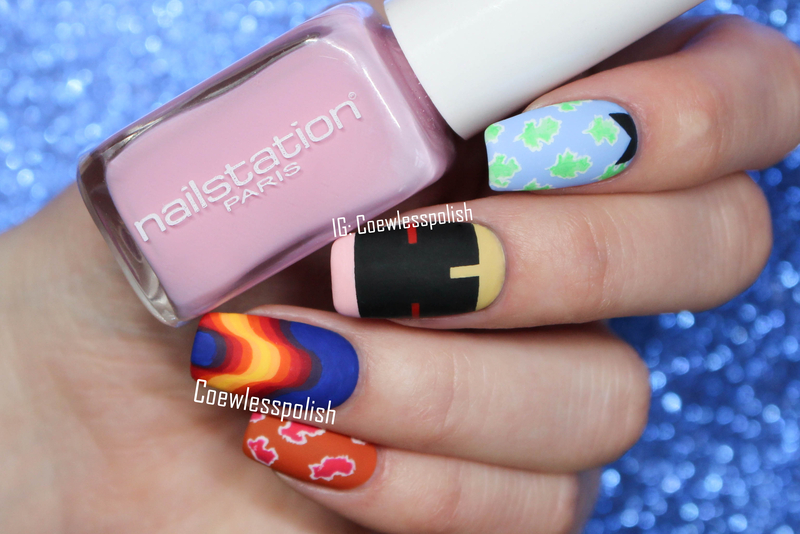 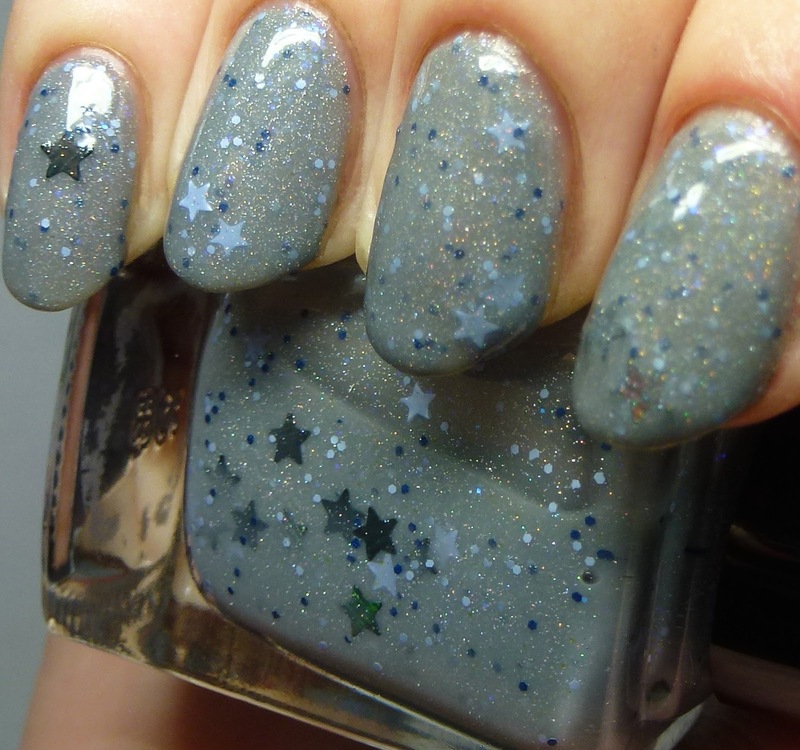 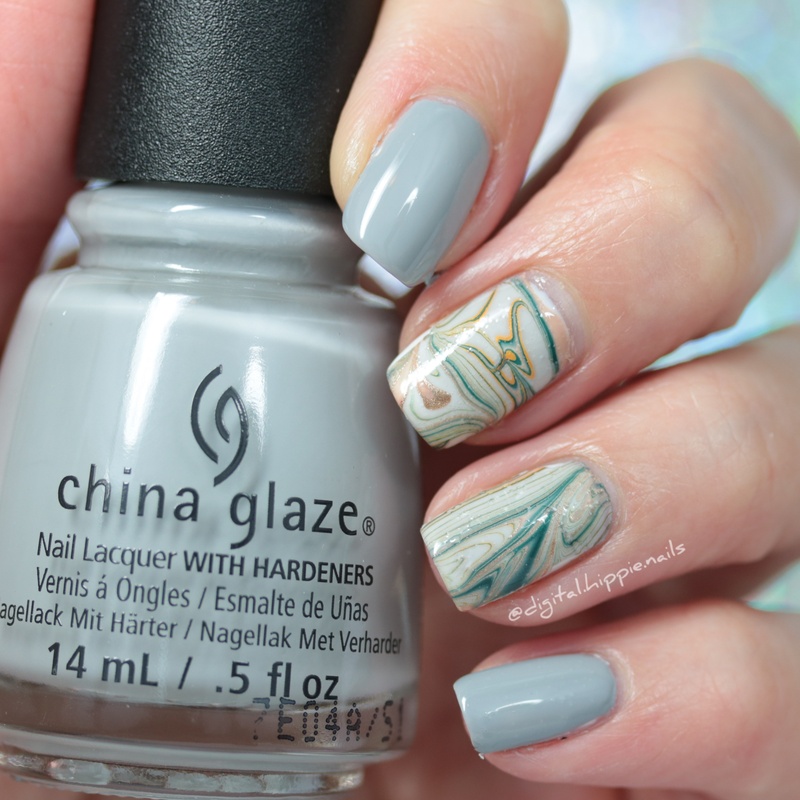 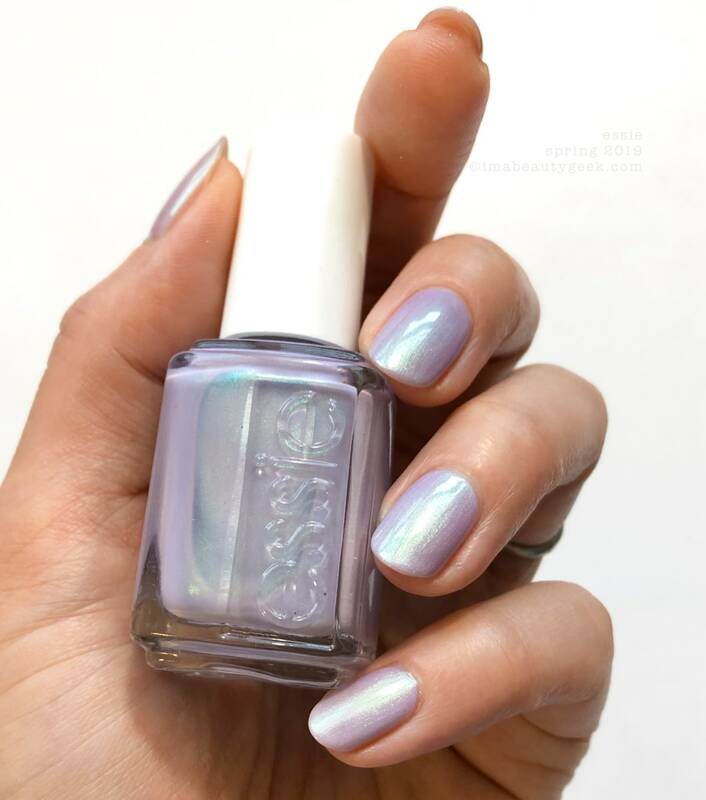 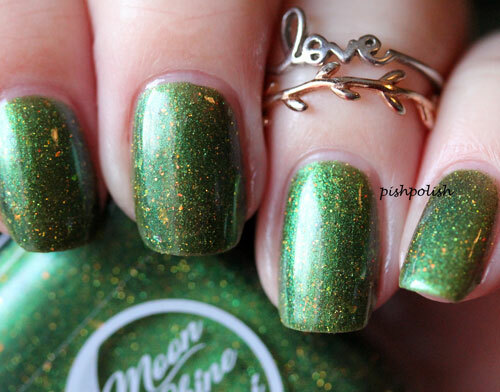 Don't you think they would make great New Year's celebration manis?